The Murphy Compensation Float uses the same technology and principals as the Murphy Compensation Cup. The only difference is that the Murphy Float does not require you to draw a sample out of your bottler or barrel. 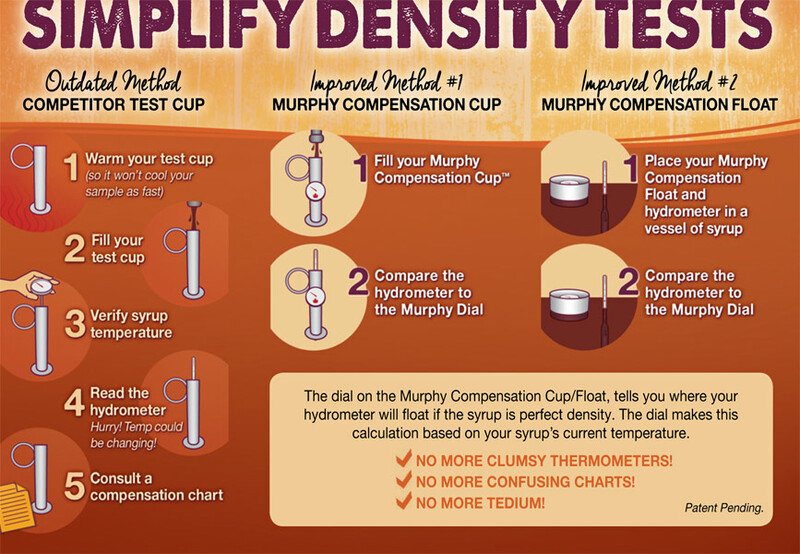 Simply float the Murphy Compensation Float alongside a BRIX hydrometer in a larger vessel of syrup and compare the reading of the hydrometer to the reading on the dial. 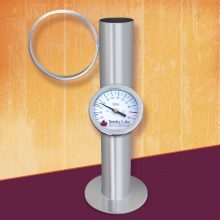 The dial will indicate exactly where your hydrometer should be floating based on your syrup sample’s current temperature. NO MORE CONFUSING COMPENSATION CHARTS! 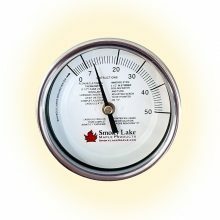 NO MORE CLUMSY THERMOMETER READINGS! These item(s) are available at a reduced cost with the purchase of your Murphy Compensation Cup. 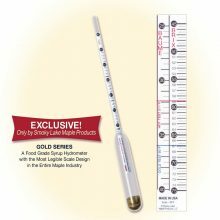 Temperature can drastically affect the buoyancy of a hydrometer. Traditionally, the only way to get an accurate hydrometer reading was to measure your syrup sample’s temperature and then use a compensation chart to calculate where the hydrometer should actually be floating. What a pain! The Murphy Compensation Float does all those calculations for you so you NEVER have to even think about it again. 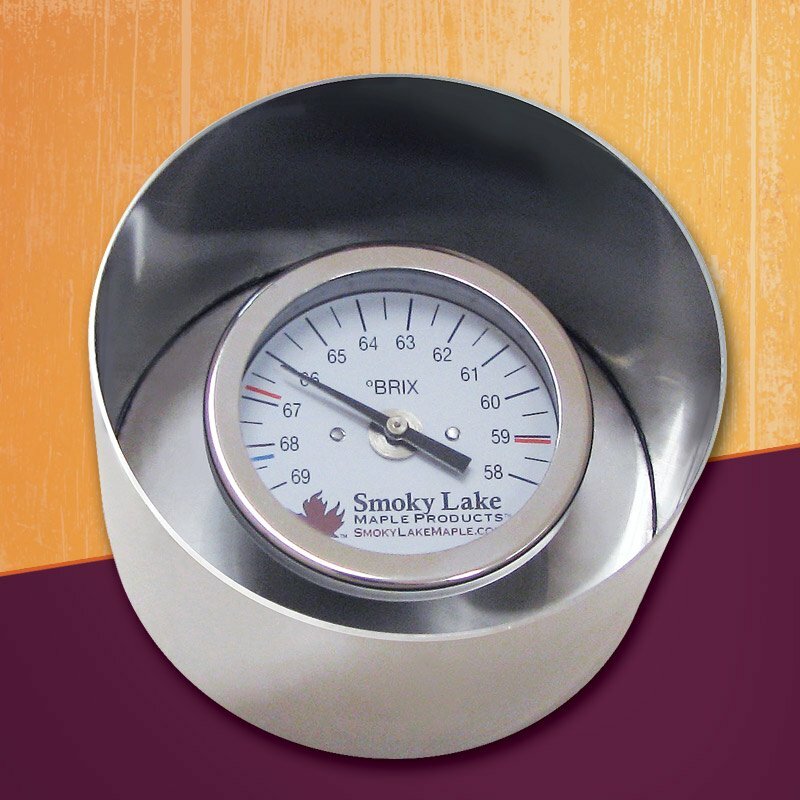 The dial on the Murphy Compensation Float will indicate the actual location of 66.9ºBRIX on your hydrometer based on your syrup sample’s current temperature. If your syrup sample’s temperature changes, so will the reading on Murphy’s dial, giving you the real-time feedback you need to take an accurate measurement. Best tool we ever had for the mixing pot at draw-off! Even rank novices can nail the density consistently. My son-in law was turned into a pro over night! Sheer genius on your part, Thank you so much.